Sheldon Gary Adelson is an American business magnate, investor, and philanthropist from Boston. Adelson is the founder, chairman, and chief executive officer of Las Vegas Sands Corporation which owns the Marina Bay Sands in Singapore. I’ve compiled a list of some of the most motivational Sheldon Adelson quotes. Let me know what you think, and don’t forget to share this list with all your friends and family. 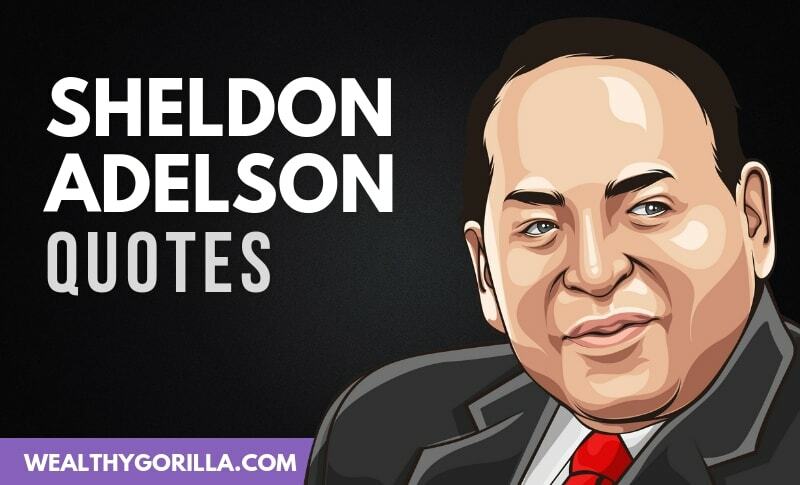 Thanks for checking out this list of awesome Sheldon Adelson quotes! What’s your favorite Sheldon Adelson quote? Leave a comment below.